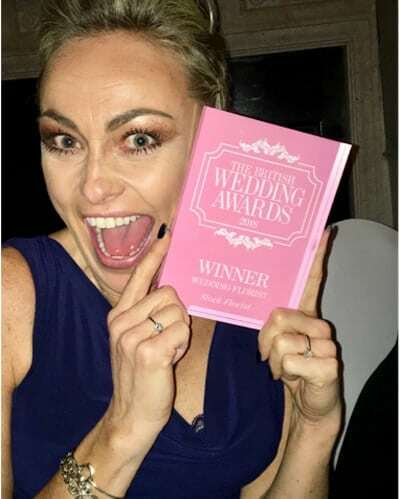 Stock Florist Wins Best British Wedding Florist!! 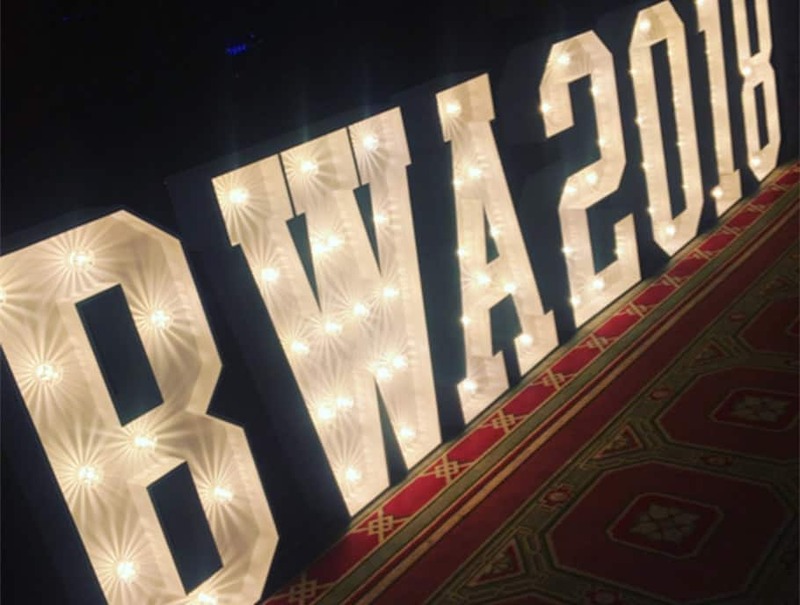 It was a night of glitz and glamour at the 2018 British Wedding Awards this year as we headed to the beautiful No.1 Whitehall and the stunning Gladstone Library. Being nominated was enough but what happened next was truly magical. Finalists at previous award ceremonies we had got used to being the bridesmaid but never the bride! Award-winning was always the missing piece of the business we had dreamed off. After a stunning champagne reception, it was time to take our seats for a beautiful meal and the award ceremony commenced. The mood was hyped by the excitement, the chitter chatter of folk and laughter rang out along with and constant clinking of glasses as people settled at the at tables introducing themselves to others. It was a great feeling to be part of such a wonderful atmosphere. And there we were, halfway through the dinner, before desert it was time to announce ‘Best Wedding Florist’. We were there to enjoy the experience, never in a million years did we expect to hear our name called out! There’s a scene from my favourite film Four Weddings and a Funeral when Scarlet and Charles realise they were late for the first wedding…that was us!!! ‘And the winner of Best British Wedding Florist goes to…Stock Florist’. That was it, we WON! As the crowd cheered we walked to the stage to collect our prize. The photographers were clicking away, it felt like a scene from the Oscars! We have met some amazing people in the relatively short time we have been open. Industry legends, established suppliers and lots of beautiful bride & grooms. As a wedding florist, we love the early preparation on the wedding day, from sourcing the finest flowers, creating amazing displays, arriving at a venue where flowers are the perfect finishing touch to light any room. From a humble little flower shop with a big heart to The British Wedding Florist of the year it has been a remarkable adventure. We could never have done it without our beautiful brides and the venues we dress. We have been humbled by the support and love from our Stock Florist brides, loyal customers, amazing suppliers, stunning venues, family, and friends.